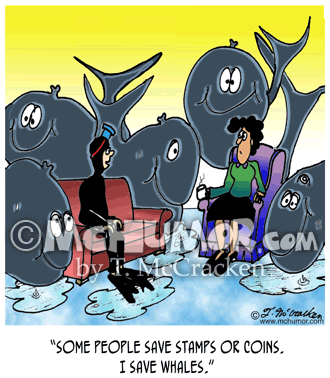 Whale Cartoon 4069: A man in a scuba suit sitting in his living room surrounded by whales saying, "Some people save stamps or coins. 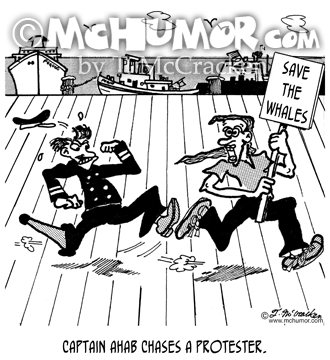 I save whales." 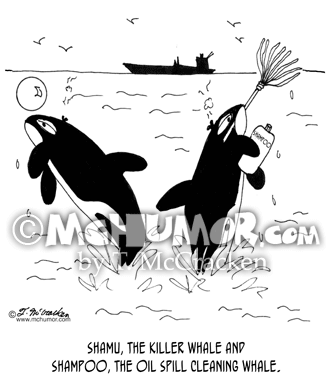 Whale Cartoon 7168: "Shamu, the Killer Whale" next to "Shampoo, the Oil Spill Cleaning Whale." 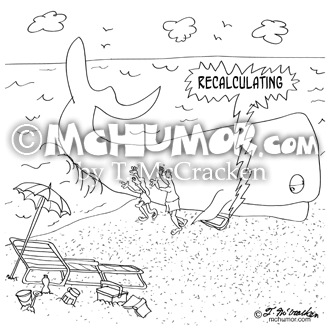 Whale Cartoon 8017H: "Whale Watching ... TV." 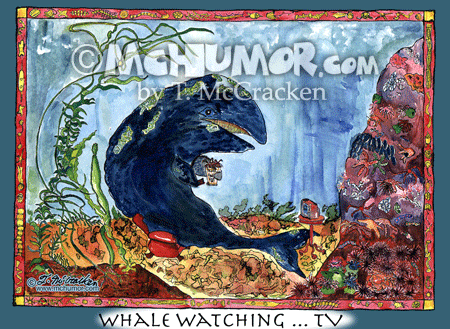 A whale in an easy chair watches TV. 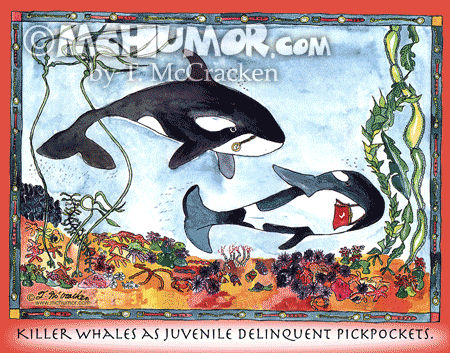 Whale Cartoon 8009H: "Killer Whales as Juvenile Delinquent Pick Pockets." 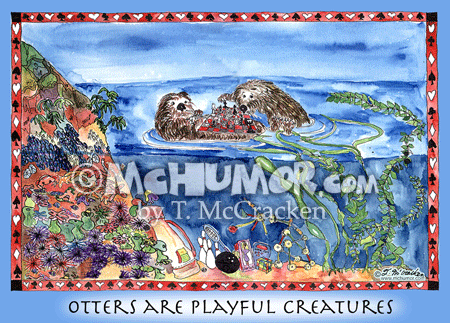 Sea Lion Cartoon 8013H: "After Hours at Sea Lion Caves, Oregon." Sea Lions watch TV." 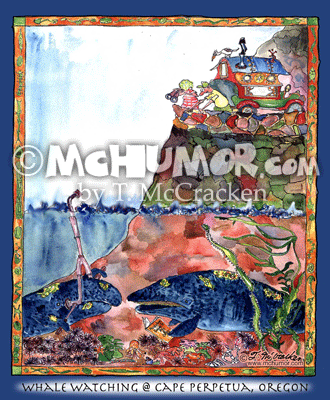 Whale Cartoon 8019V: "Whale Watching @ Cape Perpetua, Oregon." While tourists in RVs watch whales using binoculars whales watch them using a periscope and using a book, "The Audubon guide to cars and RVs." 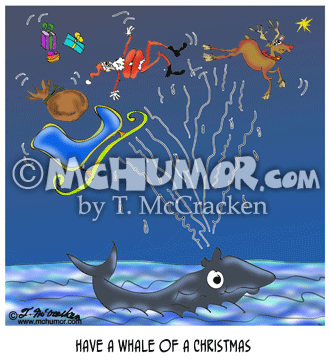 Santa Cartoon 8696: A whale blow goes high enough that it knocks Santa out of his sleigh. 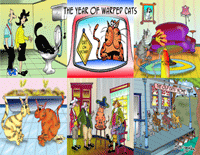 "Have A Whale Of A Christmas."